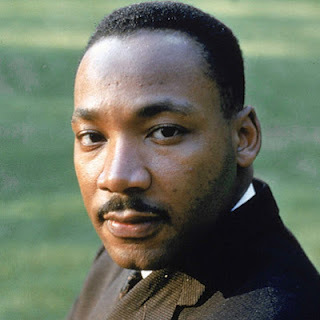 Remembering Dr. Martin Luther King today...think of ways to make the world a more peaceful place. Two special guests on today's show...Bryan Golden and Jeffrey Briar! Two special guests today on Get the FUNK Out on KUCI 88.9fm (streaming live on www.kuci.org)...first up, Bryan Golden -- a highly rated professor, speaker, author, and nationally syndicated columnist. He is listed in Who's Who in America. His popular column is enthusiastically read by a nationwide audience. Bryan is also a recognized self-development and motivational expert. For more information, visit: www.bryangolden.com. Second half of the show, Jeffrey Briar, Champion of Laughter for Health. Jeffrey Briar is the Director of The Laughter Yoga Institute based in Laguna Beach, California. If you missed the show, you can listen here. Amanda Gresham, Barbara Hammerman of United by Music and Julie Jenkins joined me on Get the FUNK Out Show! If you missed this week's show, you can listen here. Imagine a world in which no prejudice exists based upon race, creed, color—or intellectual capacity. That is the world that we at United by Music North America, and our growing support base, envision. In our case, we have turned to the power of music to bring people together. United by Music North America is a U.S. based 501(c)(3) charitable organization. Its mission: To further the scope of United by Music in Europe by providing programs of study and performance in blues, swing and jazz music for muscially talented people with intellectual disabilities in North America. We aim to improve the quality of life for members of our company and challenge public attitudes about people with an intellectual disability showing that we are more alike than we are different and profiling the exceptional talents of our company members. United by Music North America is a direct offshoot of The Netherlands-based United by Music, founded in 2006 by Joris van Wijngaarden, a Netherlands health care industry executive. Entertainer Candye Kane worked with van Wigngaarden to hone the concept behind United by Music, and today she serves as musical director of the organization. When United by Music founder Joris van Wijngaarden expressed a desire several years ago to plant the seed of United by Music in North America, his musical director, Candye Kane, knew just who to turn to. She referred him to Barbara Hammerman, President of Hammerman Philanthropic Partners, and Amanda Gresham, CEO of Delta Music Experience. He reached out to them, encouraging them to bring United by Music to the US and Canada with backing from the Netherlands organization. And of course they agreed to take on the launch of the North American program. Amanda and Barbara worked with Joris’s team in The Netherlandsand with Candye to discover the core of the program and to shape it so that it could be replicated in North America. They created a rough draft of a business plan and put together a focus group of Barbara and Amanda’s colleagues to review the plan and to share their thoughts with Joris' team from The Netherlands. Those individuals met for a three-day retreat. Arthur Steinhorn, a Portland musician employed by Special Olympics Oregon who had considerable music festival experience, was invited to join that group. From that gathering, the business plan was refined to reflect certain cultural differences between North America and Europe. The decision was made to create a way to demonstrate this program to live audiences in order to cultivate an awareness of United by Music’s mission. What emerged was the first Showcase Tour in 2010. This two-week tour, with support from the European-based United by Music, took an ensemble composed of musicians with and without intellectual disabilities through nine cities in the U.S. and Canada. The tightly scripted 60-minute program of entertainment and information concluded with a Q&A session. The only "ask" was whether audience members felt this program would have value in their community. If they agreed that it would, they were asked to consider working with United by Music NA to develop a team in each of the nine Showcase cities. As United by Music NA moved from the Showcase Tour phase through a methodical follow-up with the local teams, there was a natural evolution of communities that exhibited more initial strength than others for what was required to take United by Music NA to the next level. Due in large part to the relationship that United by Music was able to develop with Portland through Amanda's involvement with the city’s signature Waterfront Blues Festival and Arthur's expertise and interest in the project, Portland was selected as the site for the first United by Music program development in North America. The other communities that participated in the initial Showcase Tour are still being cultivated. Each will come "on line" with a training and performance program as soon as they are strong enough to sustain such a program. United by Music NA , by choosing Portland as the pilot program city,is building upon the established European program of selecting musically talented people with intellectual disabilities and engaging them in a program of education, rehearsals and performances right here in North American communities just as United by Music has been doing since 2006 in Europe. This program is, in fact, not new, but has been proven a success in Europe. With this foundation for success, United by Music NA is destined to fulfill its mission here of raising awareness about how connected we all are through music, community and our universal aspirations to lead inspiring and fulfilling lives.